What should be considered when choosing seamless pipe or welded pipe? When selecting a seamless or welded pipe, an abundance of facts should be taken into consideration. Seamless pipes are manufactured using different procedures, depending on the diameter or the ratio of diameter to wall thickness. The normal raw material is a round spool section preheated in a rotary furnace, or for larger diameters a hollow section preshaped in a perforation press, which is then prerolled in a rotary rolling mill. In the manufacture of longitudinally welded pipes, either individual steel plates or coils are used as raw material. 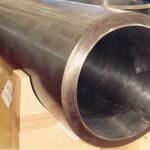 The pipes are produced in a series of different, sequenced process stages, including cold forming, welding, heat treatment, calibration and non-destructive testing. Manufacturers of both seamless and welded pipes offer a wide range of standard sizes for different branches of industry. For the individual production of welded pipes, the raw materials can be ordered and used in precise thicknesses depending on the wall thickness calculations, which will deliberately save resources and cut costs. When you consider cost-effectiveness, the advantages of seamless pipes for small to medium-sized outside diameters with higher wall thicknesses are clear. 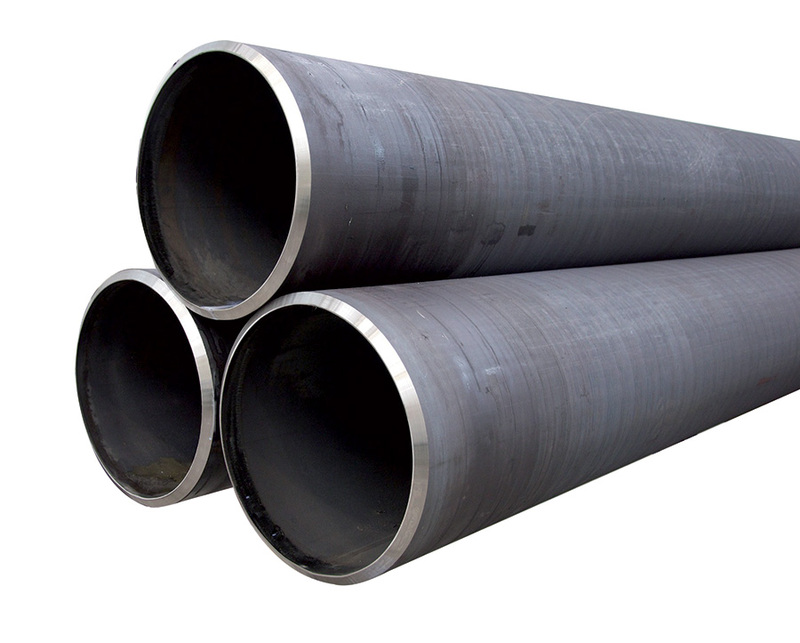 On the other hand, welded pipes are more advantageous for small, medium-sized and large outside diameters with wall thicknesses of between 2 and 70 mm. Generally the economically strong dimensions for hot rolled seamless pipes have outside diameters of up to NB 100 and a diameter/ wall thickness ratio of 5 : 1 or smaller (e. g. 50 : 10, 50 : 20 etc. ), for sizes larger than NB 100 normally 8 : 1 or smaller (e. g. 200 : 25, 200 : 30 etc.). The range of possible sizes, however, is restricted by the fact that wall thicknesses of less than 3 mm are not available for hot rolled seamless pipes. When manufacturing welded pipes from individual steel plates or coils, the minimum ratio of outside diameter to wall thickness throughout is around 10 : 1, which therefore presents a very wide range of opportunities. But these pipes can normally be produced more costeffectively in welded condition (Diagram 1). In individual cases it may be possible to go below this limit. 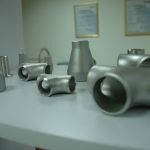 Thus for example, BUTTING has already manufactured pipes with a diameter of 600 mm and a wall thickness of 65 mm, amounting to a diameter / wall thickness ratio of 9.2 : 1. The decision whether to use a seamless or welded pipe depends principally on the wall thickness / diameter ratio and the specified pipe tolerances. For the manufacture of seamless hot rolled pipes, a Limited number of alloys is available. By contrast, there is generally no shortage of steel plates and coils used for the production of welded pipes in a number of different material grades. In addition, smaller quantities of raw materials can be recovered from service stores, and special alloys, such as Alloy C4, can be cut from wide material in stock. The wall thickness tolerance of 12.5 %〇 for hot rolled seamless pipes is specified fundamentally in ASTM A999 or EN ISO 1127 T2. However, wall thickness differences caused by the manufacturing procedure may lead to a possible eccentricity, that is, to a deviation from symmetry (Diagram 2). Normally the tolerance for wall thicknesses of welded pipes is defined in ASTM A999 or EN ISO 1127 T3. The evenness of the steel plate or coil thickness ensures that the wall thickness tolerance remains constant across the entire pipe body and much better than the required ± 10 %〇. This means there cannot be any eccentricity. Particularly for orbital welding or subsequent welding processes on building sites, a constant wall thickness and thus the exclusion of any eccentricities is a crucial criterion. When manufacturing seamless pipes, the length manufactured depends on the weight per metre or per rod. 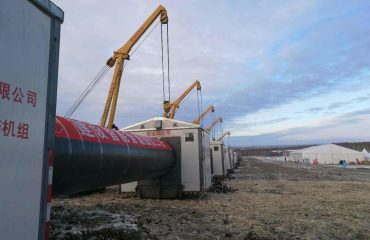 Thus up to NB 100, pipe lengths of a maximum 13 m, and up to NB 200 pipe lengths of a maximum of around 4 m can be produced. 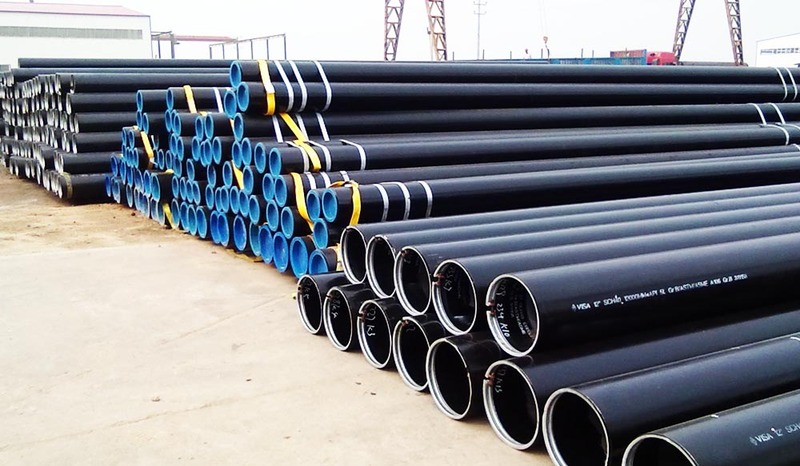 The minimum purchase quantity is determined by the size of the production batch of around 1 t. For welded pipes, the pipe lengths can be freely selected up to 12 m or 18 m without circumferential welds. The minimum production batch for pipes made from coil depends on the length of the coil for special alloys or sizes. 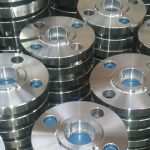 With production from individual steel plates, small quantities may also be provided. The condition of the surfaces of seamless pipes is determined by the hot forming. Thus subsequent grinding, necessitated by the “orange skin” which occurs with this production process is only possible at a higher cost. The manufacturing process for welded pipes allows the use of a wide variety of surface types in the raw material (e. g. cold rolled). In addition, a further enhancement of the surface condition can be achieved by supplementary processing of the pipe, including grinding the pipe surface. production process, the longitudinal seam in the welded pipes does not constitute a weak point. Circumferential welding with both seamless and longitudinally welded pipes must therefore be performed to a high-quality level and must take account of the specific parameters. The decision whether to use a seamless or welded pipe depends principally on the wall thickness / diameter ratio and the specified pipe tolerances. Normally the advantages of the welded pipe outweigh the alternative, and so at the moment in Western European industry it is mainly welded pipes which are used.